Claude Auchinleck, was born in Ulster on 21st July, 1884. Educated at Wellington College and Sandhurst Military Academy. He graduated in 1904 and was commission into the 62nd Punjab Regiment where he saw action in Egypt, Aden and Mesopotamia. In 1933 Auchinleck joined with General Harold Alexander in repelling invading tribesmen and pacifying large regions of India. Promoted to the rank of major general he was given control of the Meerut District in 1938. Auchinleck returned to Britain on the outbreak of the Second World War and on 7th May, 1940, he was sent to command 25,000 British, French and Polish troops in Norway. The Allies took Narvik on 28th May but when German reinforcements arrived in June 1940 Auchinleck was ordered to withdraw from Norway. Promoted to full general he returned to India before in July, 1941, replacing General Archibald Wavell as commander in chief of British troops in the Middle East. Auchinleck soon clashed with Winston Churchill who demanded the he should immediate organize an offensive against General Erwin Rommel and the Deutsches Afrika Korps. Auchinleck insisted on having time to prepare and he did not launch Operation Crusader until 18th November, 1941. Initially this was very successful and Erwin Rommel was forced to abandon his siege of Tobruk on 4th December, and the following month had moved as far west as Archibald Wavell had achieved a year previously. Aware that Wavell's supply lines were now overextended, and after Rommel gained obtained reinforcements from Tripoli he launched a counterattack It was now the turn of the British Army to retreat. After losing Benghazi on 29th January, Auchinleck ordered his troops to retreat to Gazala. Over the next few months the Eighth Army, under Lieutenant General Neil Richie, established a line of fortifications and minefields. Erwin Rommel launched his offensive on 26th May. The Italian infantry attacked at the front while Rommel led his panzers round the edge of the fortifications to cut off the supply routes. The following month Erwin Rommel and the Deutsches Afrika Korps were only 113km (70 miles) from Alexandria. The situation was so serious that Winston Churchill made the long journey to Egypt to discover for himself what needed to be done. Churchill decided to make changes to the command structure. On 8th August, 1942, Auchinleck was replaced by General Harold Alexander. Auchinleck was unassigned for almost a year but on 20th June, 1943, he replaced Archibald Wavell as commander in chief of the British Army in India. He was knighted and made a field marshal in June, 1945. After the war Auchinleck was given the task of splitting the Indian Army into the new armies of India and Pakistan. He was accused of being partial to the Pakistanis and in August 1947 Lord Mountbatten forced him to resign. Auchinleck left India before it became independent and returned to London where he held several administrative posts until he retired in 1968 to Marrakech. Claude Auchinleck died in 1981. (1) After the war Winston Churchill reported that he had disagreed with Claude Auchinleck over his role in the Norwegian campaign. I had not liked his attitude in the Norwegian campaign at Narvik. He had seemed to be inclined to play too much for safety and certainty, neither of which exists in war, and to be content to subordinate everything to the satisfaction of what he estimated as minimum requirements. However, I had been much impressed with his personal qualities, his presence, and high character. Auchinleck was a poor picker of men,. A good judge of men would never have selected General Corbett to be his Chief of Staff in the Middle East. And to suggest that Corbett should take command of the Eighth Army, as Auchinleck did, passed all comprehension. Again, nobody in his senses would have sent Ritchie to succeed Cunningham in command of the Eighth Army; Richie had not the experience or qualifications for the job and in the end he had to be removed to. 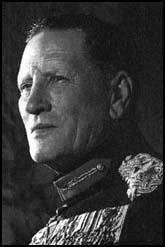 Since the Panzer divisions now seemed to be committed to battle and were supported to be losing a considerable number of tanks, General Cunningham allowed the signal to be given for the Torbruk sorties to begin and the XIIIth Corps to start operations. On November 21 however our difficulties began. The enemy, as was to be expected, reacted at once to the threat to Sidi Rezegh, and his armoured divisions evaded the 4th and 22nd Armoured Brigades. The whole of the enemy armour then combined to drive us from the vital area and to prevent help reaching the Support Group and the 7th Armoured Brigade, which were isolated there. Neither of these formations was designed to carry out a prolonged defence, and it is greatly to their credit that they managed to do so, unaided, throughout the 21st. Next day all three armoured brigades joined in the defence of the area. But our tanks and anti-tank guns were no match for the German, although they were fought with great gallantry, and on the evening of November 22 the XXXth Corps was compelled to retire, having lost two-thirds of the tanks and leaving the garrison of Tobruk with a huge salient to defend. The enemy rounded off his success in spectacular fashion. In a night attack he surprised and completely disorganized the 4th Armoured Brigade, whose hundred tanks represented two-thirds of our remaining armoured strength. On the 23rd he practically annihilated the 5th South African Infantry Brigade, one of the only two infantry brigades General Norrie had under command - there was no transport for any more - and then on the 24th with his armoured divisions he made a powerful counter-stroke to the frontier. Throughout the day our mobile forces continued successfully to attack the enemy, whose general trend of movement in north-west. A number of engagements took place, but owing to the wide area covered and the the difficulties of communication detailed reports have not been received. Enemy troops and transport sheltering behind defences immediately west of El Adem were attacked by British armoured units, while farther to the west British and South African mobile columns pressed the enemy back all day in a north-westerly direction. Small pockets of enemy infantry and armoured cars left in the area north of Bir Hacheim are being dealt with. In the late afternoon our armoured forces attacked and drove off a number of German tanks which were endeavouring to interfere with operations being carried out west of El Adem by Sikhs, Punjabis, and the Royal Sussex Regiment. Some miles south-west of Acroma British armoured units shelled a concentration of enemy motor transport, burning some and damaging others. At Tobruk itself, Polish units, maintaining pressure on the enemy, captured two posts on the western defences. Enemy air action against Tobruk yesterday was on a somewhat increased scale, but ineffective. Further east South African troops continued to clear up the area north of the Trigh Capuzzo, where a few enemy stragglers are still being captured. New Zealanders are also engaged in mopping-up operations in the area immediately east of Tobruk. Supporting ground forces, our air forces carried out continual sweeps over the whole area of operations. Enemy concentrations and motor transport were attacked and near Acroma, in particular, a number were damaged and set on fire. Ground troops shot down one German Me. 110. Bad weather in the desert is making any clear picture of the operations difficult to obtain. For two days heavy sandstorms have blown incessantly, but in this thick, greyish pall which overhangs everything the British advance continues. Under continual pressure Rommel's men are withdrawing quickly westwards. Our advance is three-pronged. New Zealanders from Tobruk have struck rapidly along the coast and have now reached the eastern outskirts of Gazala, while Indian and British troops have pushed up from the south-east and have reached the other side of Gazala. On the southern flank our columns continue their slow but steady advance, mopping up enemy positions as they go. Finally, hard pressure on the central sector has not been lifted since the attack opened last week. Should the northern and southern prongs advance more rapidly than the enemy withdraws and eventually meet the encircling movement will be complete. Because we have succeeded in pushing on our advance and there are not any particular reports of enemy opposition it should not be imagined that the enemy is not fighting back strongly. Rommel is still full of fight, but he clearly does not think the present conditions favourable. While withdrawing his troops he is putting up strong resistance; and every mile of ground we take has to be fought for. Auchinleck spent a long weekend with me at Chequers. As we got to know better this distinguished officer, upon whose qualities our fortunes were now so largely to depend, and as he became acquainted with the high circle of the British war machine and saw how easily and smoothly it worked, mutual confidence grew. On the other hand, we could not induce him to depart from his resolve to have a prolonged delay in order to prepare a set-piece offensive on November 1st. This would be called "Crusader", and would be the largest operation we had yet launched. In the Middle East the morale of all our people was most deplorable. Auchinleck had completely lost confidence in himself. Everybody was always looking over their shoulders towards prepared positions to which to retreat. The units at the Front were hopelessly mixed up, and there was no evidence of good staff work. Auchinleck had 180 Generals on his staff. This number has now been reduced to 30 by his successor. We should, of course, have hit Rommel hard when he reached his furthest point of advance. 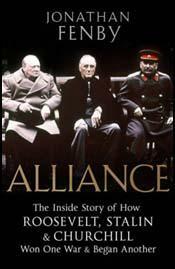 Winston Churchill and Sir Alan Brooke both went up to the line and followed different routes, and met that evening to compare notes. "Both", said Morton, "came back with faces like boots." They were both convinced that drastic and speedy action must be taken. Already there had been a very great improvement. But it was only just in time. Alexander, Auchinleck's successor, has hitherto been in charge of brilliant retreats. He was the last man off the beaches at Dunkirk and since then he has done Burma. (8) Bernard Montgomery met Claude Auchinleck just before he was replaced by Harold Alexander in August 1942. Auchinleck took me into his map-room and shut the door; we were alone. He asked me if I knew he was to go. I said that I did. He then explained to me his plan of operations; this was based on the fact that at all costs the Eighth Army was to be preserved "in being" and must not be destroyed in battle. If Rommel attacked in strength, as was expected soon, the Eighth Army would fall back on the Delta; if Cairo and the Delta could not be held, the army would retreat southwards up the Nile, and another possibility was a withdrawal to Palestine. I listened in amazement to his exposition of his plans. I asked one or two questions, but I quickly saw that he resented any question directed to immediate changes of policy about which he had already made up his mind. So I remained silent.